We all know how it feels to be tired through the day, the lethargy that comes with it as well as how it can affect our mood. But what we often don’t realise is how the amount of sleep we get can have a significant effect on your dieting efforts. Check out below for some of the reasons why you should look at gastric hypnotherapy to help increase your nightly sleep. Having less than 7 hours sleep a night can reduce the amount of fat your body burns by nearly half compared to someone sleeping over 7 hours a night. This means that you can be doing everything right, eating healthy and working out but that without enough sleep you’re hindering your chances of losing weight! As if this wasn’t already reason enough to get more sleep, sleep deprivation can have even more effects on your diet and weight loss efforts. 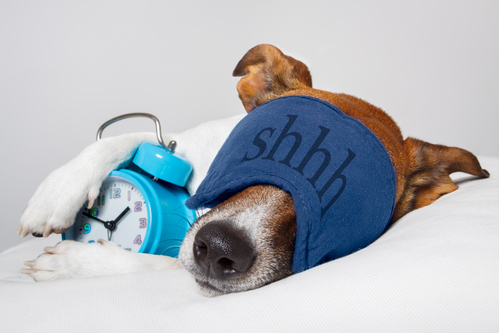 A lack of sleep can cause us to have a greater appetite and to be more inclined to eat junk food! It can make us feel more entitled to instant gratification and this hedonist temptation can lead us to eat more high-calorie foods. This is all compounded into one dieting nightmare as research has shown that lack of sleep can also cause us to choose bigger portions, so we can find ourselves eating large portions of junk food, not the way to lose weight. Gastric hypnotherapy can help you overcome these dastardly temptations and help put yourself in control of your diet. A key point about sleep deprivation is the way it makes us feel. A lack of sleep can leave you feeling grouchy and unwilling to do anything. Combining feeling like this with a gym routine and you’re likely to end up in a bad mood and a lot of resentment towards the gym. Sticking to a gym routine can be difficult, and whilst gastric hypnotherapy can help put you in the right direction to working out and staying fit, a lack of sleep is going to make something difficult a lot harder. Feeling tired in the gym is an arduous process and rarely ends with an efficient work out. So now that you’ve realised just how important sleep is to you and your weight loss efforts, you should check out our guide to improving our sleep and attaining sustainable weight loss by downloading How to Smash Your Weight Loss Goals Without Crash Dieting. Simply click on the button below to get your copy right away!